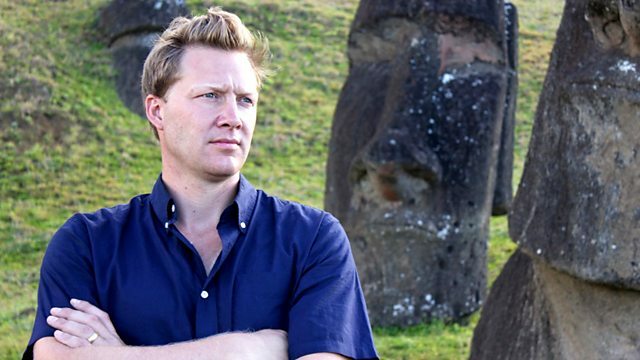 Dr Jago Cooper uses scientific and archaeological evidence to argue that Easter Island's demise was not solely due to its inhabitants' wilful use of its natural resources. This film examines the latest scientific and archaeological evidence to reveal a compelling new narrative, one that sees the famous statues as only part of a complex culture that thrived in isolation. Cooper finds a path between competing theories about what happened to Easter Island to make us see this unique place in a fresh light. Neil MacGregor discusses one of the extraordinary giant figures from Easter Island.